Xiaobing Tang has written the definitive volume on the critically important but poorly understood modern Chinese Woodcut Movement. Although the focus of Origins of the Chinese Avant-Garde is on woodcuts, the scope of the work is actually much broader. The first two chapters touch on China’s modern intellectual history, reaching back to the New Culture movement, revisiting earlier debates over the nature of modern artistic expression, and reconstructing the aesthetic and political dynamics of China’s earliest art academies. 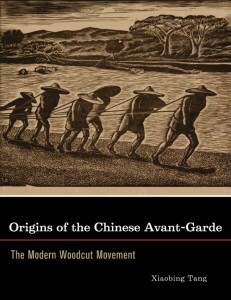 These two chapters are especially useful, but not merely as necessary background studies for the emergence of the woodcut movement; they address the origin of the avant-garde movement of which the woodcut movement was a part, and in doing so provide a thorough and insightful history of the developments in the Chinese art scene during the late-1920s. This in itself is an important contribution since there are few comparable studies of this period. When the actual woodcut movement appears in chapter 3 the reader is well prepared for the developments after 1928 when Lu Xun and his associates introduce the genre to China and continue to foster its development through the early 1930s. Although the woodcut movement and its populist credentials were already established by 1932, the author identifies the First Shanghai War that tore through the city at the beginning of that year as another incident critical to the formation of the consciousness and aesthetic sense of woodcut artists like Hu Yichuan. 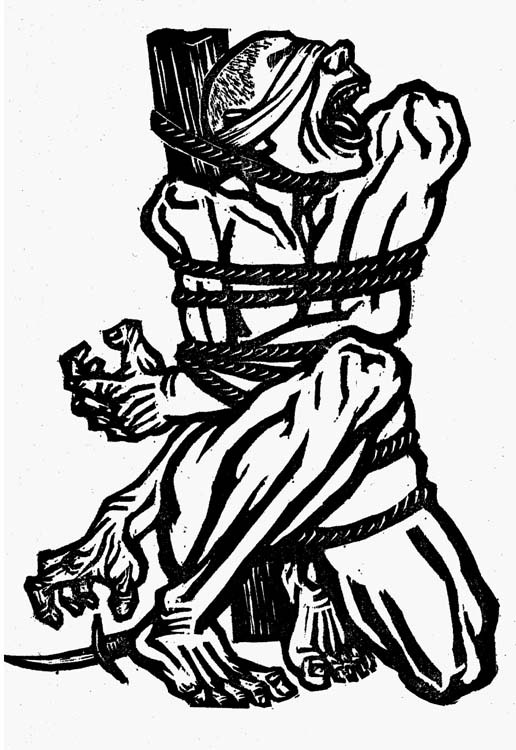 The battles, Tang notes, not only enflamed the indignation of the population but also radicalized the art community, with woodcut groups like MK Woodcut Research Society and later the Wooden Bell Woodcut Research Society taking the leading role in re-conceptualizing the politics and populist orientation of art. Woodcut exhibitions would begin to appear in Shanghai, Hangzhou, Beiping, and Tianjin over the next few years, with new woodcut societies emerging in Beiping-Tianjin and Guangzhou. But Tang suggests that it was not until the National Joint Woodcut Exhibition, which opened on January 1, 1935, that the movement had gone national. At this point in Tang’s narrative, questions arise about the movement’s reception outside of the arts community. Tang argues that the woodcut movement can be considered avant-garde because it presented a “radical critique of art as an institution or social subsystem, and it aimed at reintegrating art into the praxis of life” (p. 3). Aiming is one thing, but did it hit its mark? There is no question that the Woodcut Movement comprised a radical critique of art, but in regard to popularization the record is less convincing. We are told that the first National Joint Woodcut Exhibition toured Jinan, Nanjing, and Hankou but are left uncertain as to the impact on the local populace. For Taiyuan we have only Tang Ke’s 1956 recollection that “many citizens of that landlocked city were just as excited to have their first encounter with such a massive show of modern art” (p. 173). In Shanghai, the one place where a populist artist might have hoped to find positive reception, we learn that exhibition organizers were deeply disappointed by the failure to attract a broader audience (p. 175). Likewise the Storm Society and Chinese Society of Independent Artists reported trouble in attracting people to exhibitions, and “found public indifference an awkward situation to deal with.” Tang recognizes that this was a problem but retreats to the position that the National Joint Woodcut Exhibition cemented the movement’s populist orientation and affirmed representational realism as the preferred form (p. 179). Was the subsequent adoption of a less controversial form of woodcut simply mandated by the communist leadership, or was it developed independently by the artists in recognition of past failings? 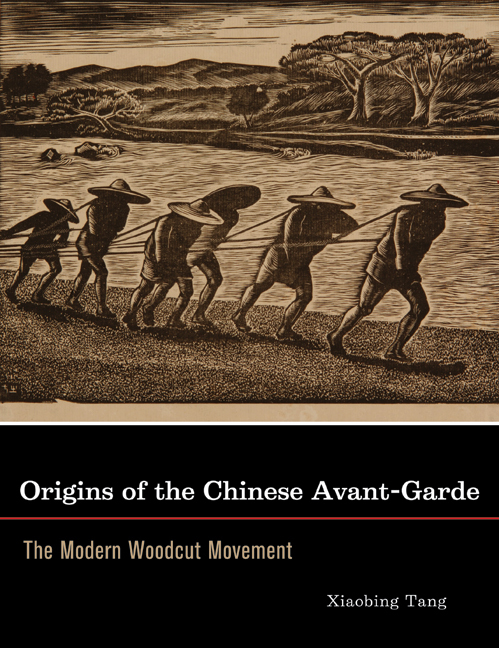 Answering this question, and thus understanding the next stage of China’s artistic development depends on a clear understanding of the Woodcut Movement’s pre-war reception, and that is something that I hope a future study will address. 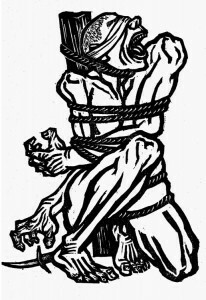 Fig.1: Li Hua’s woodcut Roar China! See, for example, Hu Yichuan, in Jiefang ribao (Jan., 1944), cited in David Holm, Art and Ideology During the Yan’an Period, 1937-1945 Ph. d. diss. Oxford University, 1979.